This Victorian Residence with distinctive second floor windows was designed by Joseph C. Pate. 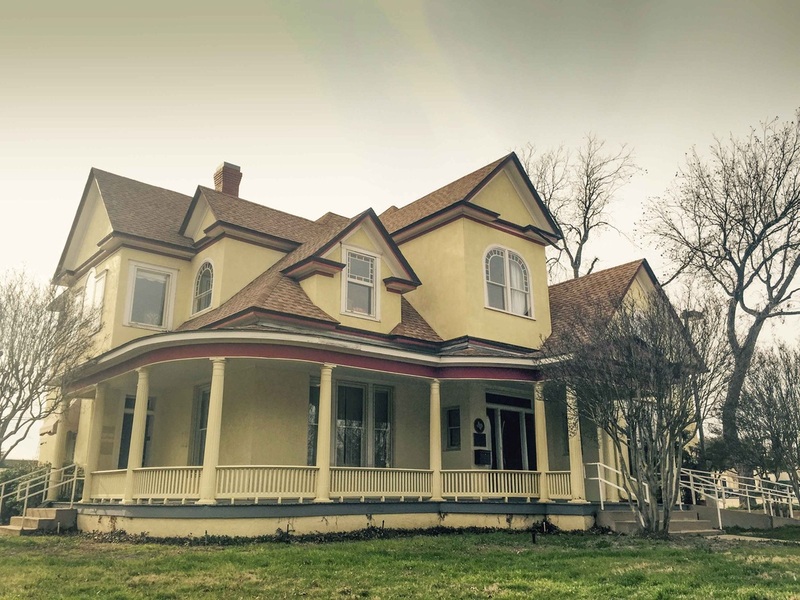 Built for local businessman Guy Dillard Anderson and his wife, it was completed in 1907. 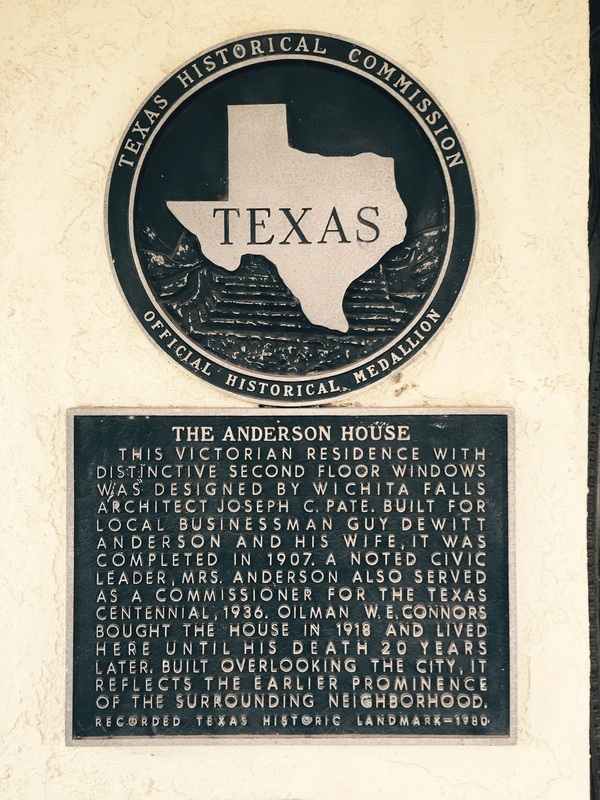 A noted civic leader, Mrs. Anderson also served as a commissioner for the Texas Centennial, 1936. Oilman W. E. Connors bought the house in 1918 and lived here until his death 20 years later. Built overlooking the city, it reflects earlier prominence of the surrounding neighborhood. Recorded Texas Historic Landmark - 1980. Located on 912 Burnett Street, Wichita Falls Texas 76301. GPS 33 54' 27.27" N 98 29' 42.82" W.